It's our "best bang for the buck" bedroom set. 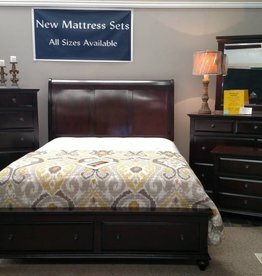 Includes sleigh bedframe w/ slats, dresser w/ mirror, chest of drawers and one nightstand. The Silvia Queen Bed by Crown Mark. This bed is finished in a dark merlot finish. 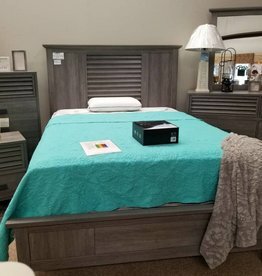 This bed features a lower profile with a contemporary look. Includes Queen headboard, footboard and rails. Dresser with mirror, chest and nightstand. 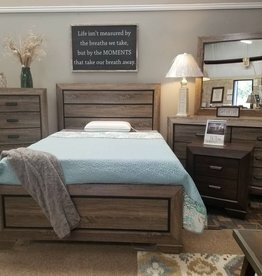 Farrow Driftwood Bedroom Set. Set includes complete queen bedframe, dresser with mirror, chest of drawers, and one nightstand. 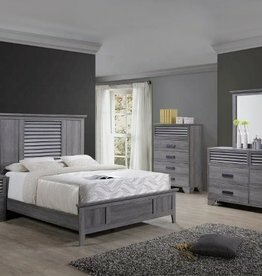 The Fontaine King Bedroom set includes a complete bed frame, dresser with mirror, chest of drawers , and one nightstand. Color: Bed is a bronze color. The Grayson Bedroom features a grey-ish brown finish making it a great fit for almost any room color. The bedroom includes queen platform storage bed, dresser w/ mirror, chest of drawers and 1 nightstand. Farrow Driftwood Bedroom Set. 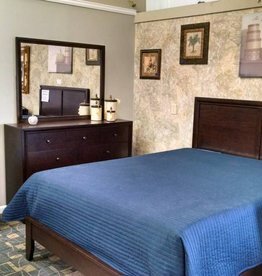 Set includes complete king bedframe, dresser with mirror, chest of drawers, and one nightstand. 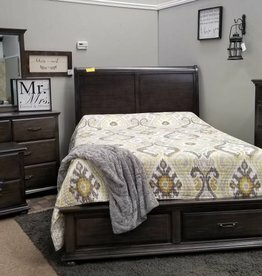 The Portsmouth bedroom blends a transitional sleigh-style bed with the upgraded storage bed option. Bedroom set includes platform storage bed, dresser with mirror, chest of drawers and one nightstand. Available in queen and king sizes only. The Grayson Bedroom features a grey-ish brown finish making it a great fit for almost any room color. The bedroom includes a king size platform storage bed, dresser w/ mirror, chest of drawers and 1 nightstand. King size bedroom. Warm brown finish. 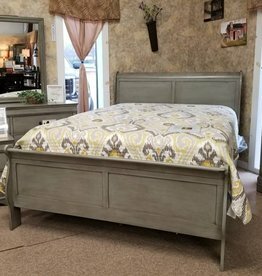 Includes King headboard, footboard and rails. Dresser with mirror, chest and nightstand. Mattress is not included in the price but available for additional charge. Farrow Driftwood Bedroom Set. Set includes complete full bedframe, dresser with mirror, chest of drawers, and one nightstand. 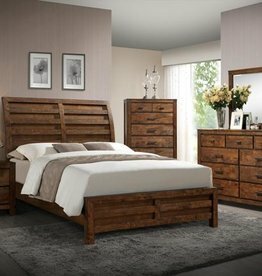 Farrow Driftwood Bedroom Set. 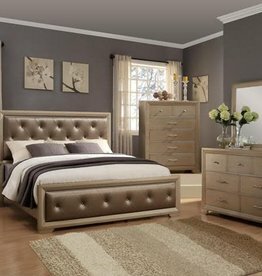 Set includes complete twin bedframe, dresser with mirror, chest of drawers, and one nightstand.